I know of several people who collect Christmas records. Of course I have many Christmas records too, but I don’t really love the genre. I prefer Happy Birthday records! I have no idea why they are so hard to find. I have about twenty-five Happy Birthday records, all 45’s and almost all not worth listening to. The idea seems great: make a perfect Birthday gift, a Happy Birthday record, and become rich. But in reality things are not that easy, as the twenty-five records in my collection proof. 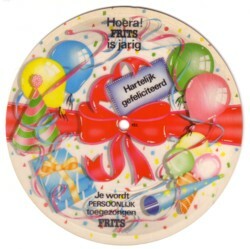 There was one Dutch label who made Happy Birthday records for all the popular names in Holland. They were sold in postcard shops, with a white envelop in stead of a sleeve. The design is truly ugly, which makes these records easy to recognise in the second hand boxes, the place where most of these records ended up. I have one with my name on it. To hear my own name mentioned on a record is a weird experience, even if I know that the same record has been made for a few hundred other names, by people that don’t care about me at all. 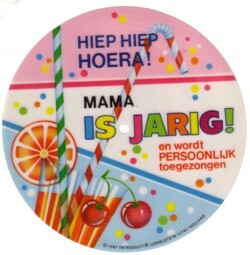 The same company, Introduct, produced similar records for Mother’s day, Father’s day, and several other special occasions. All ugly and totally uninteresting. If you happen to have some, I would love to buy them from you! 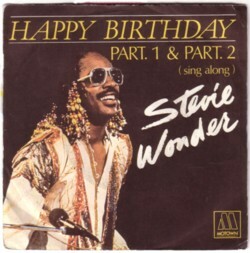 Of course there have been famous artists who can me up with a Happy Birthday song. Most of them got their inspiration from commercial motives, but there are a few nice songs made in this category. 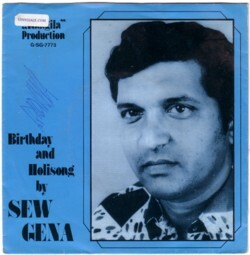 But I am more into the anonymous and unknown artists, that recorded Happy Birthday songs for obscure labels and companies. And they are not all that bad. 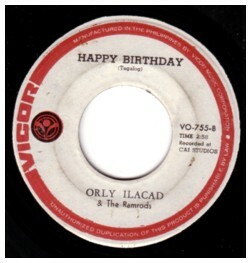 Here is for example the Philippine band Orly Ilacad & The Ramrods, with a Happy Birthday song in two versions: on the A-side is the narration in English, on the B-side you get a Tagalog narration. Hi, I have one of those birthday albums. Its actually my brother’s and it has his name on it. We love it! Its Hilarious. I wish I could e-mail him a link to that song right now! But I’m sure its so obscure!